Select Block Loaf, Round or Sliced. Store in air tight bag or container. Color and pattern variation may be different because each loaf is custom handmade at time of order. This is my second purchase of this wonderful home fragrance spray, which became my new favorite from the first spritz. It is richly scented, and a little goes a long way. In the past, I have always purchased lemon essential oil that was sourced from Sicilian lemons. In the future, I will be buying more of this California sourced lemon oil - I definitely feel it has the freshest and most natural lemon scent! As I mentioned in my allspice oil review, a few drops of this luscious French vanilla oil mixed with a few drops of allspice smell wonderful in a diffuser. In my opinion, the French vanilla does have a noticeably richer scent than regular vanilla oil. Another essential oil that smells just as it should... a few drops of this oil in my diffuser, mixed with a few of French vanilla, and my bedroom smells like a fresh batch of cookies! Paypal, Checks or Money Orders. Payment is due within 7 days .on sale from Money Orders, Checks. Refund on item only, must be returned unopened, unused within 30 days of receipt. within 24 - 48 hours as soon as card blotch test drys and is OK. If your package was marked(scanned) delivered by the USPS but you did not receive, the post office policies must be followed. We cannot give refund on packages marked "delivered" unless delivered to wrong location by USPS. 1. Let us know if this is the case and we will open a USPS case. This is not a claim but they will start tracking the package using the G O GPS system. This GPS tracking will tell them exact spot carrier was in when scanned in "delivered". 2. We will contact your local post office to start looking for package and let them know what happened. 3. If your package has been shipped out but not scanned delivered (MIssing). Contact us and we will open a case with the post office and with the G O tracking they can locate the package and get it moving again. We have never had a package that did not turn up. Unfortunately it will be late, but found. If your package was damaged at the Post Office. The package will be returned to us, or if damaged in your post office, to you. 1. If we receive a damaged package back you will be notified that we are shipping out another item immediately. 2. If delivered to you, take a picture and contact us sending us photo of damaged goods. We will ship out another. We ship USPS either First Class Mail if ship weight is 13 Oz. or under otherwise USPS Priority Mail. We also utilize the USPS Flat Rate Boxes when weight is an issue. Example: We can get 40 - 4 Oz bars bars in a Flat Rate Box for $12.95 shipping. A great way to save money when purchasing larger quantities. Custom Orders. 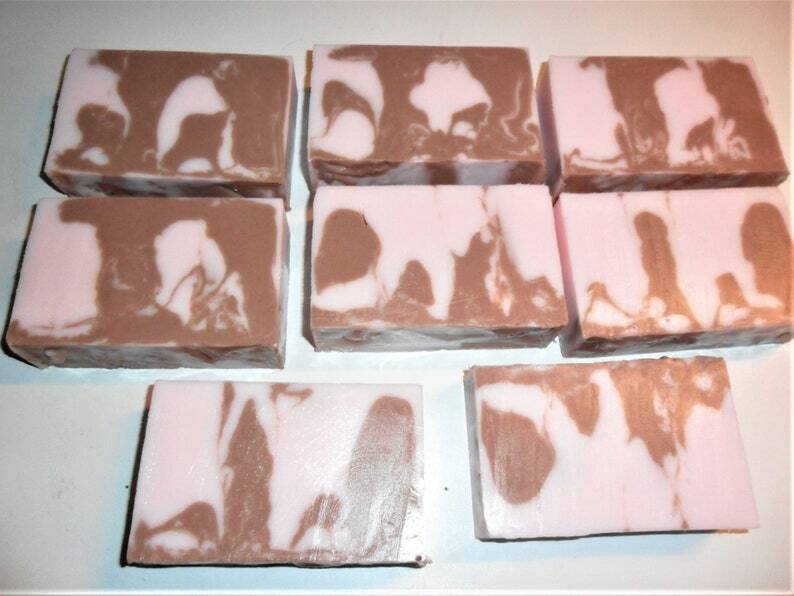 We will make any soap in the fragrances we stock. We carry over 250 varieties. If you don't see, please email.